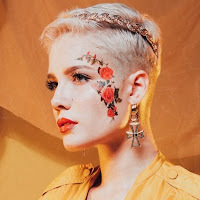 In the past few years, Halsey has made an impressive mark on the charts. The singer’s debut album Badlands reached the No. 2 spot on the Billboard 200, and the vocals she contributed to the Chainsmokers’ “Closer” helped the track own the No. 1 spot on the Hot 100 for weeks. The album title, announced in early March, suggested that the singer is still tumblr-core, and her recently released album single “Strangers” featuring Fifth Harmony’s Lauren Jauregui is easily her best song yet. You can stream hopeless fountain kingdom in its entirety below.